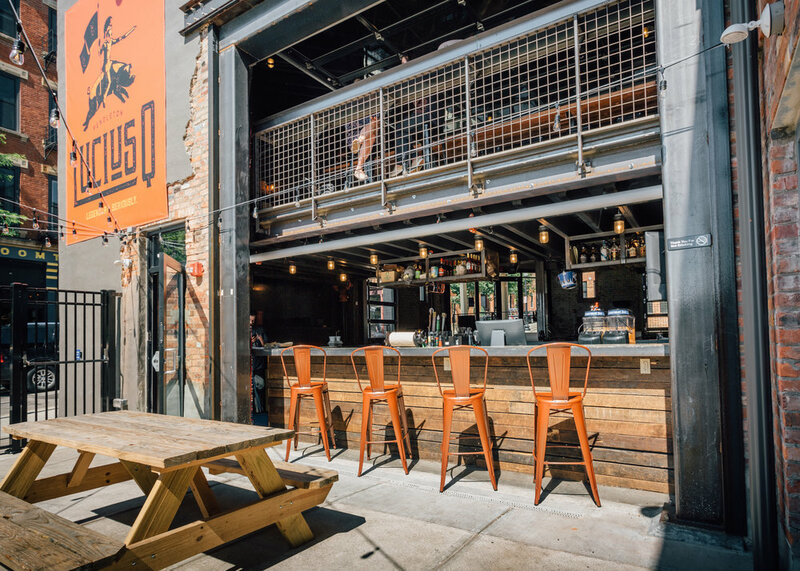 This former mechanic shop across the street from the Broadway Square development has been converted into a new barbecue restaurant called Lucius Q. 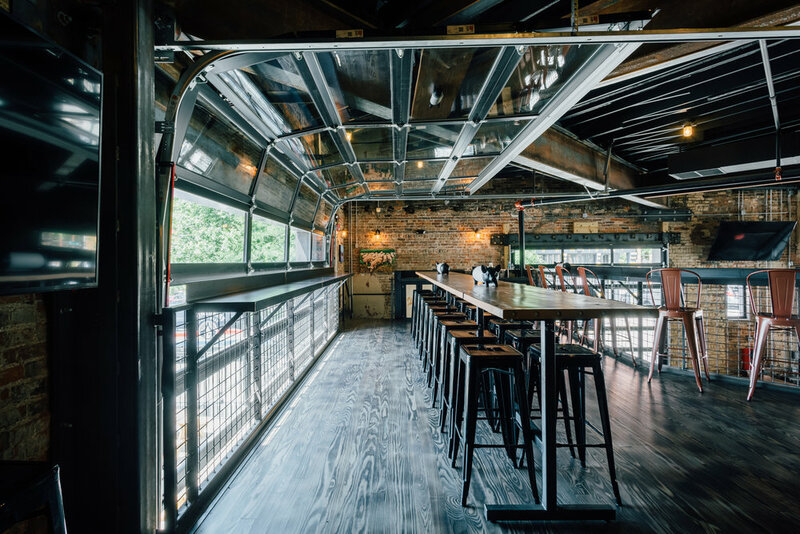 The plans included a wrap-around mezzanine, double-sided bar, and large garage doors that open out onto a back patio and the surrounding streets. 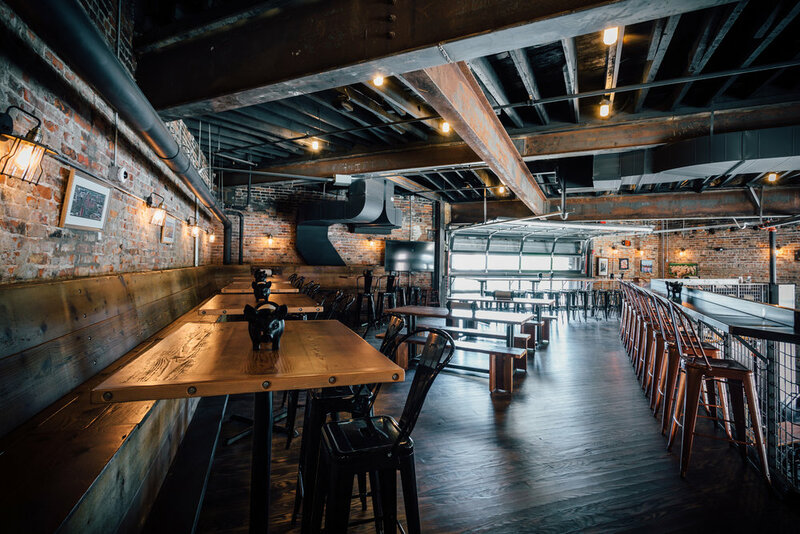 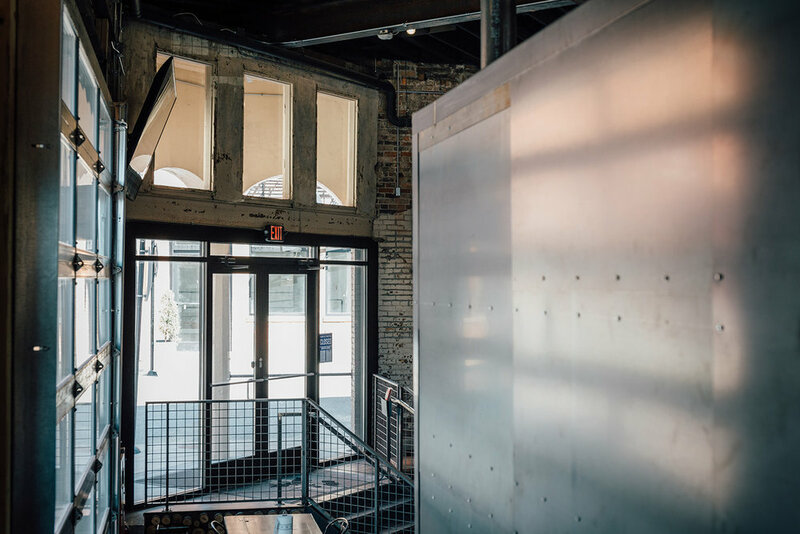 The industrial aesthetic features steel and wood-clad walls, unfinished metal guardrails, polished concrete floors, exposed brick walls and roof structure, and a custom cut-log bar front that is a nod to the wood-fired BBQ pit. 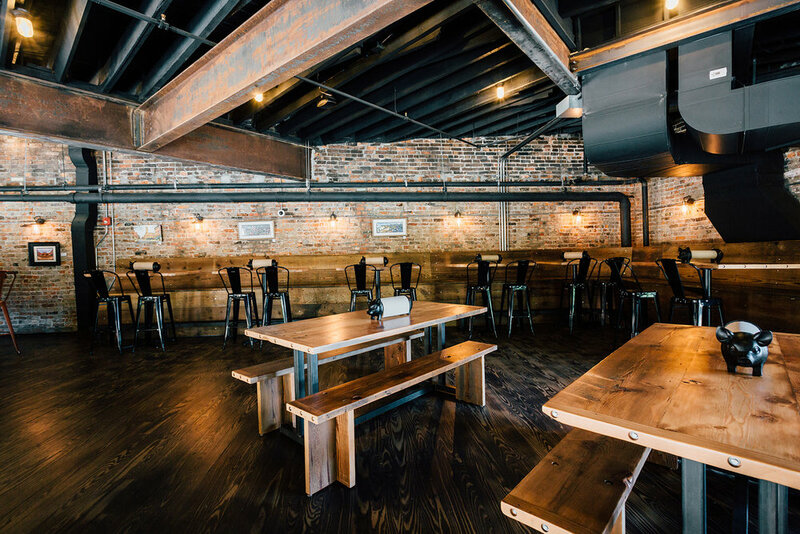 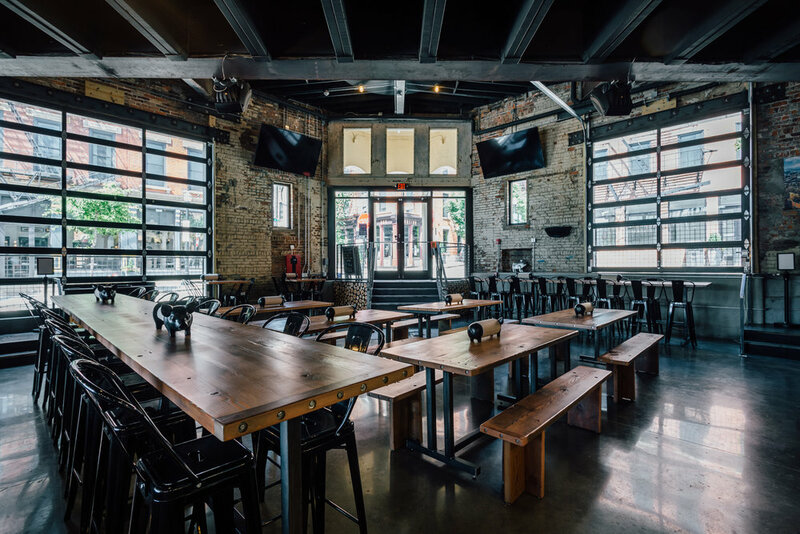 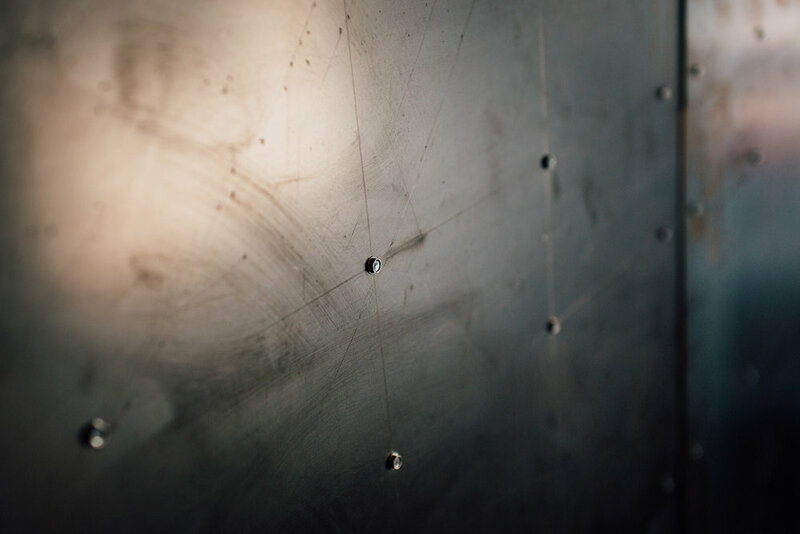 Custom wood and steel tables by Cincinnati Wood Collective and industrial light fixtures round out the design. 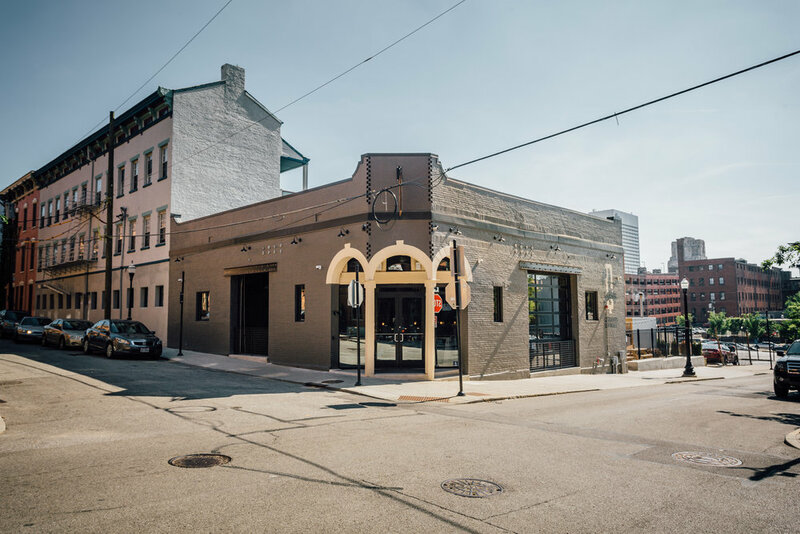 This friendly neighborhood joint brings a refined-but-rustic appeal to this revitalized urban community.